Despite convincing advantages offered by meshes, their use in hernia surgery remains controversial because of fears concerning the long-term effects of their implantation. To improve biocompatibility, a large variety of newly developed light meshes has been introduced to the market. This overview of the literature aimed to establish whether absolute material reduction (g per implanted mesh), use of absorbable components, and coating by inert materials are evidence-based ways to improve biocompatibility of meshes. 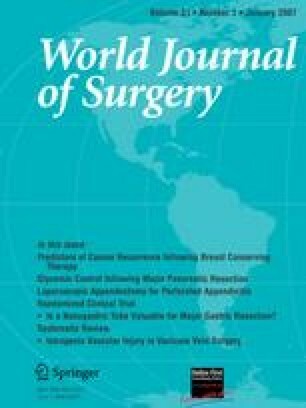 A review of the current English and German language literature on the outcome of groin und incisional hernia mesh repair was performed. Both basic research and clinical trials were used as sources of data. Meta-analyses and randomized controlled trials were given priority and were referred to whenever possible. Operative technique was an independent prognostic factor for the clinical outcome. Mesh construction and composition as characterized by pore size and filament structure appeared to be more important determinants of foreign body reaction after implantation than absolute material reduction of 1 g or more per implant. No data exist about an oncogenic effect of alloplastic materials in humans, but disturbed fertility in animal studies remains an issue of concern and should be further investigated. According to data from current randomized controlled trials and retrospective studies, light meshes seem to have some advantages with respect to postoperative pain and foreign body sensation. However, their use is associated with increased recurrence rates. Light meshes offer no advantages with respect to alleviating severe chronic groin pain. At the same time, experimental data reveal that material composition and mesh structure may significantly affect foreign body reaction.